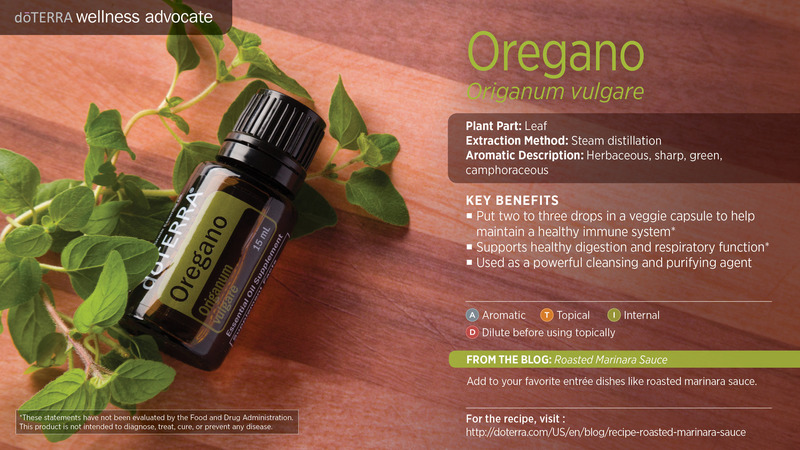 I love oregano oil! It helps to powerfully support our immune system. Whenever I am feeling like I am getting the cold, flu, etc… or if I am feeling my immune system is a little weak, I put three drops of oregano oil on the bottoms of my feet at night. If I feel like I really need extra immune support, I will do this in the morning and at night until I am feeling like I do not need it anymore. Be careful not to get this on your skin without diluting it with a carrier oil…this stuff is STRONG! This is my secret to supporting my immune system! I have passed this info on to many other people and so far they all agree, it works! To order some pure therapeutic grade oregano oil and give it a try go to my doterra page and get some at www.mydoterra.com/reducetoxins.